1956 : Creation of MGB SA in Marnaz, located in the world center of the bar-turning Industry. 1970’ : Specialization in the manufacturing of precision screw machined parts of small diameters for the Electronics industry. 1990’ : Development of the export Business up to 60 % of total Sales. October 1991 : Implementation of a commercial network in USA, with a partner in Boston : CSI, Component Sources International. 2005 : Creation of a manufacturing subsidiary in China : MGB China in Shanghai. 2008 : MGB China moved and doubled the production capacity with new CNC machines and assembly devices. April 2008 : Creation of a manufacturing subsidiary (machining and assembly) : MGB US Inc in Boston. 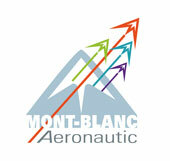 2009 : ITAR Accreditation for MGB U.S. INC. and MGB FRANCE.